A sreetseller in Taksim street, Istanbul. 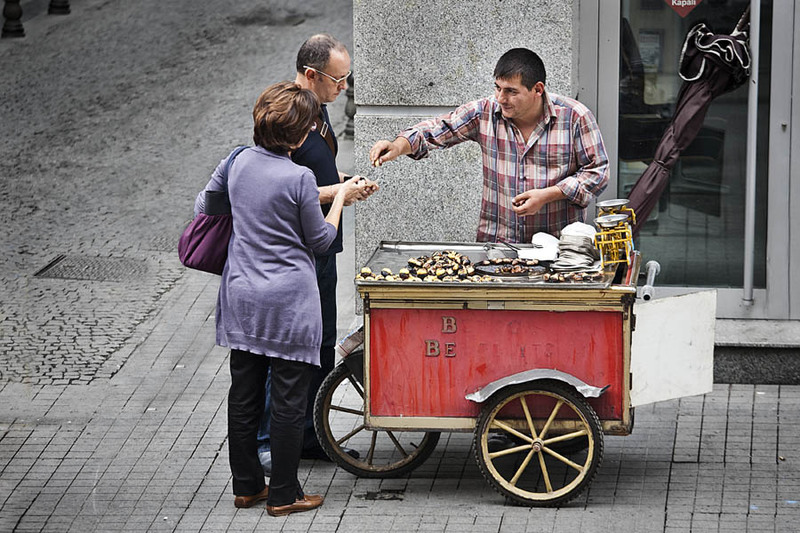 Roasted chestnuts are very popular in Turkey during winter time. They are so delicious.